It was a real pleasure to be asked to speak at the recent Exeter Express & Echo Business Awards held in The Great Hall at Exeter University. In an atmosphere of friendly competition, the big winners on the night were Plastic Surgeon. The Bovey Tracey-headquartered surface repair specialists were named Business of the Year, also picking up the award for Best Creative Business. The prestigious Lifetime Achievement Award went to Mike Burch, who founded Exeter-based Market Carpets in 1965. The company was also named Family Business of the Year. A new Editor’s Award was presented to Exeter College principal Richard Atkins, in recognition of his leadership of numerous developments over the past decade which have raised the city’s profile on the national stage and resulted in city students achieving outstanding success. 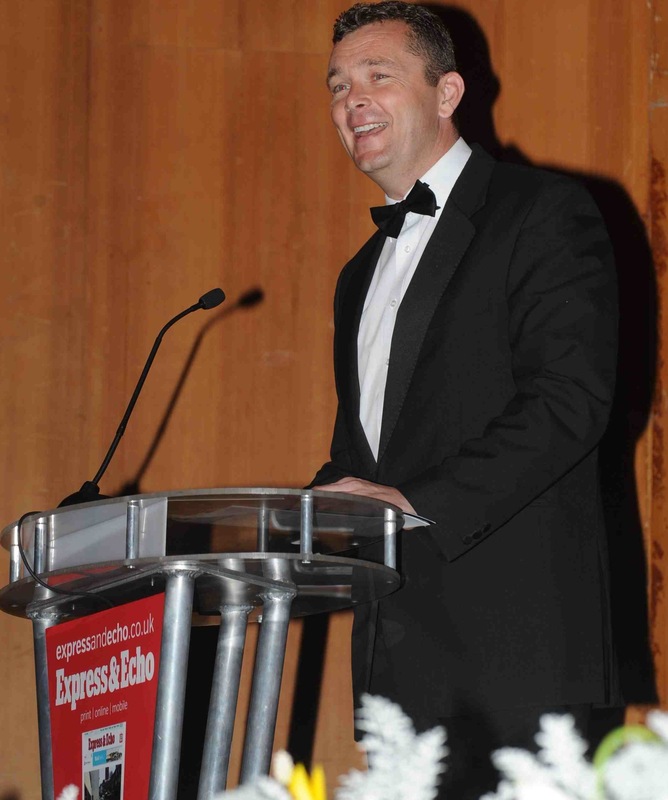 Acting editor Paul Burton said: “The whole aim of tonight is to recognise and celebrate Exeter’s vibrant business community. As we all know Exeter has proved remarkably resilient during the double dip recession, coming in the top 10 locations nationally for job creation between 2008 and 2012. “Since last year’s award ceremony, we have seen the opening of John Lewis, the first new homes occupied at Cranbrook and Exeter Science Park starting to take shape. But these remain difficult times. Guests enjoyed an entertaining after-dinner speech from Welsh rugby coach Sean Holley, who shared his insights into the parallels between building successful teams in sport and business. 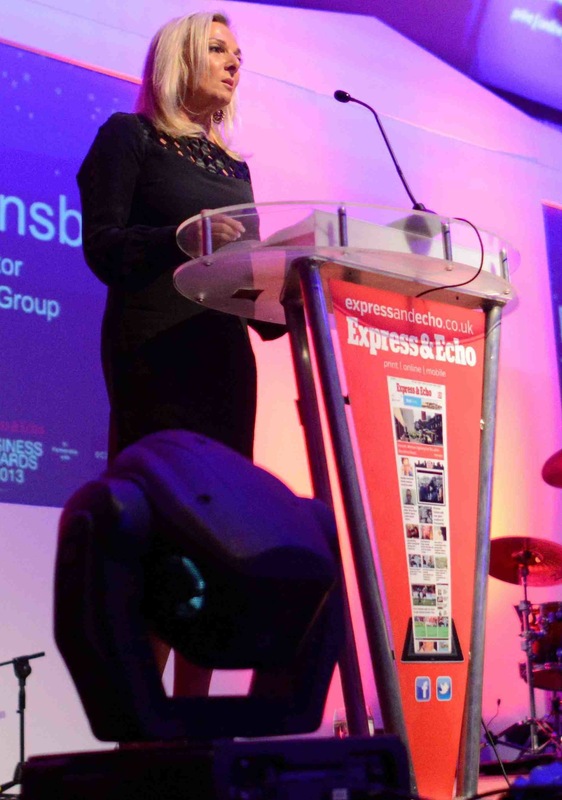 This year’s Express & Echo Business Awards saw the launch of a new headline partnership with Exeter-based internet service provider Eclipse. Category sponsors included: First Great Western, Pavey Group, Business Solutions, Exeter College, Radio Exe, Kitsons, Logo Factory UK, Ivor Doble Jewellers, Warwick Events Services, David Wilson Homes, Atass Respect, Devon Norse, Fidelius Insurance Services and NPS Group. Thanks to Editor Paul Burton and Michelle Pugh for the kind welcome at the Awards.